You are here: Home / Sustainable Living / Homestead Hacks / 10+ Ways to Preserve Your Harvest Without Canning! On our farm, we preserve a lot of food without canning – and often, it’s easier, faster, and better to leave the canning jars on the shelf. Particularly if you’re not familiar with pressure canning, or if you’re unsure about starting, you might be wondering how you can preserve meat, fruit, or dairy. (You might have heard about some ways to can things like dairy – but we debunk those myths in this article). 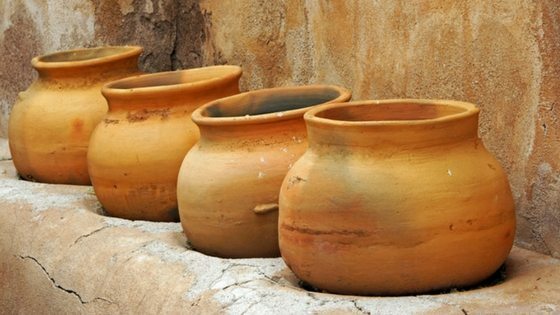 In this article, I’m going to show you some ancient ways our ancestors used to preserve fruit, vegetables, meat, dairy, and eggs – and you can use these same tactics in your own home! 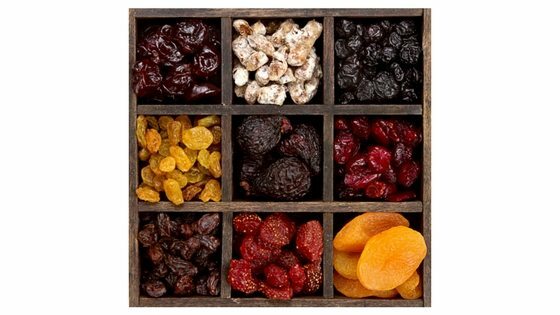 Preserving fruit without canning includes the obvious choices of fermenting and drying, but had you thought of preserving fresh fruit in honey or sugar? To preserve the flavor of apples, people would wrap the fruit in paper, straw, or cloth soaked with grease such as oil or fat. Apples were then stacked in a wooden crate and placed in cool area such as a root cellar. A favorite of colonial Americans was cider molasses, which is boiled from fresh apple cider, and used to flavor desserts or breakfasts. You can learn to make it here. The leftover peels from making cider were then fermented to make apple cider vinegar – nothing went to waste! Like apples, berries were preserved by fermenting them into wine or vinegars. During winter, wine could keep for months – even years, and was safer to drink than water. Berries were dried and used in desserts and main courses, either by reconstituting them in water or used as dried fruit, or eaten plain like we do nowadays. Fruit could also be preserved in honey by dropping the fruit into a jar filled with honey. Since honey is naturally antiseptic, the fruit wouldn’t rot, and would even impart their flavor on honey. The fruit would then be pulled from the honey as needed and used in desserts or flavored mead would be made from the honey. Vegetables traditionally have been preserved by fermenting, drying, keeping in a cool place by packing them with wet leaves or sand, or keeping them in the ground before hard frosts hit. Onions were pulled from the ground when the stalks browned, and were ripened by laying them on their sides to dry. To store them, the green stalks were intact and braided to store onions easily-circulating air. Cabbage was dried and often used in soups and stews, but the most traditional way to preserve cabbage was by fermenting it in crocks like this one. Nowadays, you can also use kits that make it easy like this one. To learn how to ferment veggies, click here. Beans were dried on the bush or vines and then strung up to continue drying and to store them. Families then strung them in their homes where they would be in easy reach. The dried beans then were soaked overnight to soften before being cooked and eaten. To preserve it, corn kernels were dried then soaked and added to stews and soups or ground into meal, but more interestingly, our ancestors also dried corn into hominy, which was then turned into grits. To harvest hominy, after corn on the cob was eaten, the remaining kernels and bits were cut from the cob and dried. To make grits, the dried hominy was soaked in water until soft. Fresh vegetables were also sometimes preserved in dry salt (as opposed to brine) in a crock, although this depended on your access to salt (during medieval times, only the very wealthy had access to a lot of salt). Nowadays, we have easy access to salt, so you can preserve your veggies in a salt concentration between 20 to 25 percent of the weight of your harvest (so 20 to 25 pounds salt per 100 pounds of food). While this definitely prevents microbial growth, it also makes your vegetables very salty – if you preserve your harvest this way, be sure to soak the food in water before eating and adjust your recipe to make up for the extra salt in your vegetables. To save their taste buds and make salt (which could be very expensive) last longer, people would instead preserve food in brine. The traditional ratio of salt to water to make a brine is 1 cup of salt to 1 gallon of water. But the strength of this ratio depends on which salt you use – kosher is not equal to table salt in this case, and our ancestors didn’t have iodized salt to confuse the ratio. It’s better to go with a strict weight – 10 ounces of salt per gallon of water. Salting pork and other meats is an old fashioned method that’s not used today – and that’s a shame, because it works well to preserve AND season meat. Using sugar, salt, and spices, pork could be submerged in the mixture and kept in a cool area for months – keeping the family fed while other sources of nutrition were scarce. Cold smoking meat is a way of curing and preserving that we still use today – we’ve smoked many a slab of beef on our farm, and it’s delicious. We’ve found that smoked meats take a lot longer to turn rancid or grow mold – but you need to COLD smoke (under 150 degrees, preferably around 100). This is much easier achieved during the cool days of winter – which is why meat is traditionally harvested during fall and early winter. Meat also should be first submerged in brine to help preserve it, help get moisture out of the cuts, and inhibit bacterial growth. You can smoke meat, fish, cheese, vegetables, pretty much anything you can think of. This process is called a confit, and has been used since ancient times to preserve fatty cuts of meat. When salted meat was cooked slowly in a large pot and at a low temperature for a long time, the meat would eventually give out the fat. The meat/fat mixture was allowed to cool in a crock – the fat would rise to the top, creating a barrier between the meat and the outside world. Stored in a cool area, the food could be preserved for months during the winter. Like vegetables, meat can be preserved simply by surrounding it in salt. Our ancestors would slice meat into strips, then stack them between layers of salt, like lasagna. The crock or barrel was then kept in a cool area, and meat removed as the family needed it. The salt kept moisture, bacteria, and bugs away. Dairy was (and is) most commonly preserved by fermenting into cheeses or yogurt. Yogurt would be consumed fairly quickly, while cheeses could be wrapped or preserved in wax, and kept in a cool area. When making cheese, salt is added to the curds to reduce moisture and then the curds pressed. After waxing, cheese could be stored for years. Soft cheeses such as feta could be stored and preserved in oil for months – as long as the cheese was submerged, bacterial growth is slowed down. Eggs would be preserved by waterglassing or by putting fats or mineral oils on the eggshells. In this article, we show you how to preserve eggs! You have certainly given us a lot to think about. Now, if we could only get ourselves to use some of these instructions! Thank you for lots of great information. 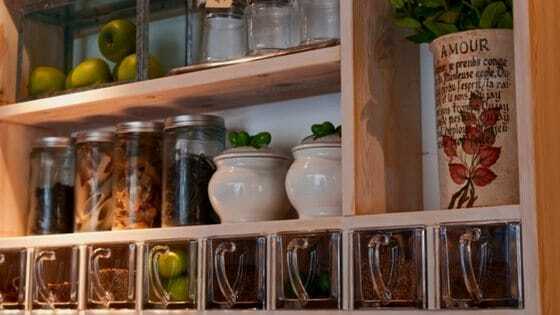 This really opened my eyes to the many ways to preserve food, not just the traditional canning or drying. I love the tip about preserving fruit using honey, sounds like a great dessert ingredient.